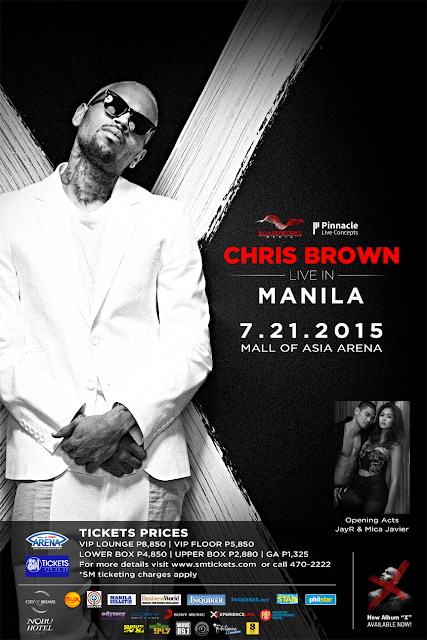 Few more days before Chris Brown Live in Manila Concert!! Who's excited? Because I know I am! See below for the seat mapping. Want more exciting and great news? A Chris Brown Live in Manila Pre-party will be held this Friday at the Palace Pool Club! Dance the night away to Chris Brown's music! They will be selling discounted VIP tickets and more giveaways(merchandise and concert tickets) will be given throughout the night. This party is free access to all VIP Ticket holders! Doors open at 5pm. Since I'm going to the concert, I wanna see you guys there too! In partnership with this event, I'm giving away 4 Upper Box tickets to 2 lucky winners (2 tickets each so you can bring your plus one with you) to watch the Chris Brown Live in Manila Concert for free on July 21, 2015 Tuesday at the Mall of Asia Arena. 2. 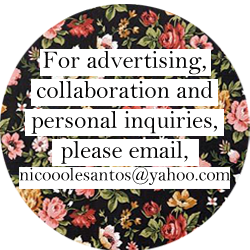 Share this Instagram Photo (see below) and caption "I wanna watch Chris Brown Live in Manila @nicooolesantos #ChrisBrownLiveinMNL #nicolesantosgiveaways "
I'll be picking the winners on July 19, 2015 Sunday at 12 noon and announce it on my Instagram and Twitter account!